Michigan offers to take California inmates. Empty Michigan prisons could become home to hundreds of California inmates if a deal can be struck. Michigan Gov. Jennifer Granholm sent a letter Monday to California Gov. Arnold Schwarzenegger formally offering space for some of the inmates California is running out of room to house to Michigan. Michigan plans to close two prisons by the end of September. Michigan could save the jobs of about half of the 1,000 prison guards it plans to lay off by Oct. 1 if California accepts the offer. Today, the Fresno Bee ran an article on farm jobs. I thought it was a very balanced article, and represented the facts accurately. It quotes me, David Sunding, and Richard Howitt; three economists who have looked at the issue. "This is a crisis, and it's a worsening crisis," said A.G. Kawamura,California's secretary of food and agriculture. "The federal government needs to understand this [will have] a major impact on America's food supply, on the nation's food security." production hit a record value in 2008. What's going on? There's no doubt that water restrictions hurt employment on the west side, said David Sunding, a professor of agriculture and resource economics at the University of California at Berkeley and director of Berkeley Economic Consulting Inc. Moreover, it's still too early to see effects of the water shortage in employment and farm revenue statistics, Sunding said. He expects the numbers will get worse. "We need to see what the data says six months from now." But Jeffrey Michael, an economist from Stockton's University of the Pacific, believes farmers are exaggerating the effect of federal water restrictions. Unemployment always has been high on the west side, and the recession has taken a heavy toll, he said. One economist argues that agricultural employment is an unreliable indicator of economic health because there's no distinction in the state figures between part-time or piece work and a full-time job. "It doesn't mean the total wealth as a result of those farm jobs has gone up," even if employment has increased this year, said Richard Howitt, a professor of agricultural resource economics at UC Davis. I don't really disagree with what Sunding and Howitt say here. I do disagree about the magnitude of the effect. 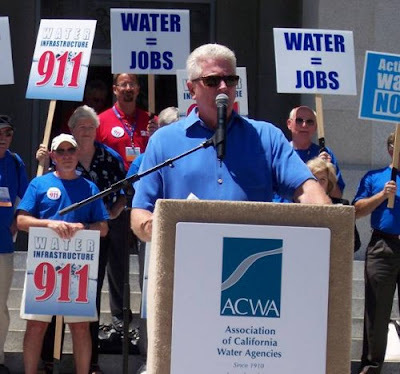 The Fresno Bee also ran a good commentary by Bill McEwan, "Anger alone won't solve the Valley's water woes." It was a warm October night, and the hall on 13th Street in Firebaugh was packed with people. They had come to voice frustration about the "man-made drought," fallowed land and lost jobs. That was five years ago. Little has changed. But, Steve Geil, president of Economic Development Corp. serving Fresno County, says that the west side is poised for an economic turnaround. Geil says the revolution already is taking shape on the west side, with scores of well-paying jobs added to the Firebaugh/Mendota area. He points out that farm jobs are increasing in Fresno County and that the county economy "outperformed" the state economy in March and April. Granted, Geil is a salesman. But I'd rather buy into his upbeat assessment of the future than to listen to more of the doom-and-gloom-holding-on-to-yesterday mantra of the Westlands crowd. For once, let's get ahead of the game. Let's think more, vent less. Let's behave like adults instead of railing against ourselves and the world. This is very interesting. I've been calling for him to sue Bay Area cities for homebuilding restrictions, ever since the AG sued Stockton for having too much growth and sprawl in their plan. The cause of rapid development in San Joaquin County was the lack of housing development in places like Pleasanton. I don't really believe in the general idea of the AG filing suit about local General Plans. However, if this is the approach the state is going to take, he should have sued Pleasanton long before Stockton. Better late than never. "Pleasanton's draconian and illegal limit on new housing forces people to commute long distances, adding to the bumper-to-bumper traffic along 580 and 680 and increasing dangerous air pollution," Brown said. "It's time for Pleasanton to balance its housing and its jobs and take full advantage of its underutilized land and proximity to BART." If Pleasanton continues to enforce its housing cap, the consequences for the region include: - Increased traffic congestion and longer commute times. Interstate 580 has some of the longest commute times in the region, with evening eastbound commuters delayed 7,410 hours and morning westbound commuters delayed 5,120 hours in 2007. - Urban sprawl. Communities outside of Pleasanton will continue to lose farmland and open space to accommodate Pleasanton's workers. These communities will have to build more schools, fire and police stations to keep up with anticipated growth. Our June 2009 California and Metro Forecast was released today. The press release and highlights are posted here. The headline is that California non-farm job losses will exceed 1 million (1.02 to be exact) in the recession. This is an increase of about 50,000 from our March forecast. Overall, there is little difference between the June and March forecast (current one is slightly more pessimistic), at the state or metro level. I would like nothing better than some positive surprises that cause us to change the forecast between now and September. In recent news reports about the Governor's request for a federal disaster designation, it has been noted that a similar request in Georgia was denied in 2006. That made me wonder how the economic impact of that drought compared to California's, and I found this report from agricultural economists at the University of Georgia. How does it compare to the estimated California drought impacts calculated by UC-Davis? First, Georgia's crop losses were greater, $820 million compared to the most recent California estimates of $630 million. Most interesting to me are the estimated employment impacts. Professor Howitt at UC-Davis has estimated 30-35,000 lost jobs from the $630 million decline in output. I have been critical of these employment estimates, as I have never seen agricultural multiplier effects that high in California or anywhere else. Thus, it is very interesting to see the Georgia job loss estimates were 9-17,000. Less than 1/2 the estimated job impact from a 30% larger loss in value. Yes, there are differences in crop mix and other areas between Georgia and California agriculture, but Georgia has much more in common with Valley ag. than many other farming regions (cotton, nuts, and fruit are significant in both places for example). My rough estimates of drought related job losses (on farm and multiplier effects) in California have been closer to the number estimated for the Georgia drought. So far, the employment data is proving me right about the California drought, but most of the peak months are still ahead of us so that could still change. Just watched the Governor's press conference in Mendota on his website. I agree with the main action he took in the press conference, sending food and other aid to the people in suffering Valley communities. The other major action was to ask the President to declare an emergency. It will be interesting to see where that goes. If he doesn't grant the emergency declaration, he will be made into a villian who "values fish over people." If he does grant the declaration, he will have to deal with a long line of "what about me" requests from areas, starting with fishing communities. When he discusses says "self inflicted wounds," it seems to refer to the Government, but is it fair to say that the farmers themselves can be blamed for at least some of these self-inflicted wounds. Didn't they invest in permanent crops on land with interruptible, junior water rights? Has someone been forcing them to overdraft groundwater all these years even when surface water supplies were good? He also makes a comment in the Q&A that suggests that Mendota unemployment would be 11.5% like the rest of the state if they only had water. That's terribly wrong on the facts, and I challenge him to point out any time in which unemployment in this farm town has even been close to that level. The California employment report for May was bad. The payroll jobs number was very disapointing, 69,000 lost jobs in May, on top of 63,000 in April. These numbers are not much lower than what we saw this winter. The pace of job losses is not decelerating as quickly as we would like or thought. No seasonal gain in construction, resulting in another seasonally adjusted 11,000 lost jobs. Manufacturing and Professional and Business Services also dropped by 10,000+. Interestingly, year-year farm job estimates are -2% for the state, but the San Joaquin Valley is actually up 0.4%. I haven't gone through the data to locate the declining regions, but the farm data can be noisy month to month. Still, we have yet to see any negative farm numbers in the region that is the heart of the "water crisis." A similar story around the Valley metros. More later. A story in today's Sacramento Bee mentions how state lawyer salaries are below the private sector. I think lower government pay is normal and probably desirable, but the amount of the gap could be a problem. It would be interesting to know how the salary gap by occupation compares to other states. As mentioned in this previous post, state and local government average salaries in California are high compared to other states, even after taking into account differences in income levels between states. However, that doesn't say anything about fields of work. I suspect (and would appreciate it if someone could point me to the information) that some areas of state work are paid much higher than is typical or necessary, whereas other lines of state work are pretty stingy with their salaries. In general, I hate these across the board salary cuts and furloughs, but I haven't seen any other serious proposals to cut payroll costs. I do think that the average cost of salary and benefits per government employee must come down in this state. Thus, if it is devastating to cut state lawyer salaries (as one example) as this article suggests, they should recommend other areas for disproportionate cuts and provide the evidence to back it up. The Fresno County agriculture commissioner has released the 2008 crop report. The state's largest farm county set another output record, $5.66 billion, up over $300 million from the 2007 record, and up $2.5 billion over the last decade. Congratulations to all those who contributed to the record. Not too many industries managed 6% revenue growth in 2008, and growth over each of the preceeding 7 years. Lots of interesting shifts from 2007 to 2008. First, total harvested acres are up despite what were predicted to be devastating decreases to water supply. That's why value is up despite weaker prices than in 2007. Cotton and vegetables are down (much of this probably on the west side), while field crops (to feed the expanding dairy herd) and nuts (especially almonds) are up. The report describes the outlook for 2009 as "dire." It will be interesting to see the results. I expect 2009 will be down from the previous 2 years (then again I thought 2008 would be down listening to the political rhetoric about the devastation of the Smelt ruling). It may even look "dire" compared to the recent records. It will be interesting to see how the 2009 revenue change breaks down between reduced production and reduced prices. I guess I was premature in celebrating Stockton's slide from #1 to #8 in the foreclosure rankings. Back up to #2 this month. Las Vegas continues to hold the top spot. A few weeks ago, I was labeled anti-Latino for writing an op-ed that argued claims that water shortages were driving Valley unemployment were overstated. The anti-Latino label is quite a stretch since the article provided no actual quotes to support it, misrepresented the facts I cite as forecast/opinion, and I have presented the same information to Mexican-American groups without offending anyone. Should California consider additional tax increases? Yes the propositions were pummelled at the polls, but does it mean all tax increases should be off the table? Here is a story from today's Sac Bee, and their list of some proposed tax increases. Increasing the top personal income tax rate from 9.3 percent to 10 percent for incomes of more than $250,000 and 11 percent for incomes of more than $500,000. • Restoring state fees on motor vehicle licenses to their 2003 levels. • Reassessing all commercial property, thus raising property taxes on nonresidential property. • Increasing corporate income tax rates. • Imposing an oil production tax. • Raising tax rates on tobacco products and alcoholic beverages, and extending the state sales tax to some services and admissions to entertainment venues and sporting events. • Repealing legislative actions last year that gave tax breaks to California corporations and small businesses. Don't know, depends on the specific cut. This would be a small amount of revenue compared to the deficit, so spending cuts would still make up the vast majority of the budget solution. as I said, it's not like it's a one-man show where I can make all the decisions. I wish I have ... like someone asked me in one of those interviews, what are the three things if someone would give you the power to change three things? I said I don't need three things. I just need one, and that is, give me 24 hours where I can make all the decisions. Alone. And then everything will be solved, all these problems will be solved. I guarantee you. large parts of California's economy." Californians and the health and security of the world's eighth-largest economy,"
The fish vs. people argument is wrong. Protecting salmon from extermination in California is very much in the interest of people and has great economic value. Are you upset about corporate bailouts? Don't think Wall Street or automakers will pay back taxpayers? Concerned about the national debt? Read this GAO report on how irrigated agriculture on the Westside of the Valley is progressing on repaying their interest free loans over the decades. Forget about barely paying back the principal, the interest subsidy undiscussed in the GAO report is by far the biggest expense. One recurring criticism in the Wall Street and GM bailouts has been their employees generous pay and benefits. 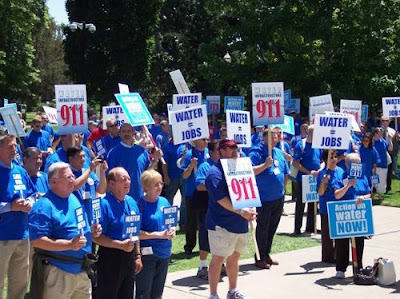 It sure would be nice for the Valley and all the struggling workers on the Westside if that was the reason the Westlands and San Luis water contractors couldn't pay. 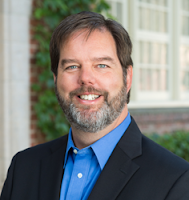 Dallas Burtraw from Resources for the Future (RFF) has posted a brief study analyzing the effects of cap and trade program currently in Congress. A few years ago, I was fortunate to work with with Dallas and other RFF staff on a northeast region climate change study and have a lot of respect for their work. Personally, I would like to see a smaller share of the permits given away to industry (and a larger share auctioned) than in the current proposals for an 85% giveaway. If I recall RFF had done some interesting work on this in the past, and had proposed a 35-40% free allocation as sufficient compensation to industry. Regardless of the final form of this important detail on the permit auction %, it is good for both the environment and the California economy that climate change is being taken seriously in Washington. This picture (from RFF) of the projected change in electricity rates from cap and trade illustrates some of the benefits to us locally. It will help close the gap between electricity rates here and the rest of the country and reduce our cost of doing business and living relative to the rest of the country. California is committing to acting alone regardless of what the U.S. does, and although I admire the spirit, it will be a lot better for our economy if others follow our lead. I have heard numerous commments this year from agricultural interests that letting the Sacramento Rivers water run through the Delta out to the Golden Gate is a waste of water, despite the many environmental problems with increased diversion. I guess it is better to pump it to the desert to grow alfalfa for dairy cows so you can pour the milk down the drain. See this story in the SacBee. Like many industries, the business cycle in dairy can be tough, and good business people manage the highs and lows. This farmer is a good example. Simoes, who with his son and six employees milks about 500 cows, expects to outlast the downturn. He didn't expand and take on new debt in the last boom.